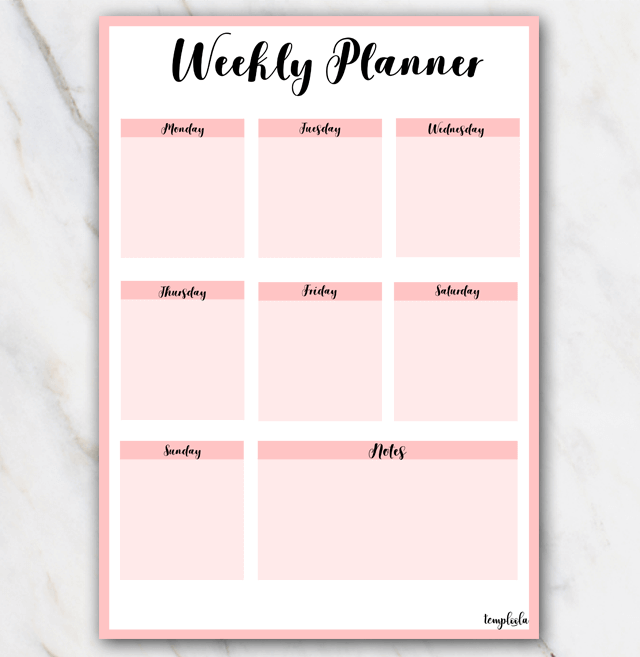 Very lovely printable weekly planner in pink colors. Next to this cute and lovely pink weekly planner, there are also weekly planners in other colors and other formats (e.g. landscape), want to have a look? Go check out the weekly planner overview page.